Friends and colleagues: Thank you for taking a moment to visit us at SmartRIA, Automated Compliance Software. We are the first, and currently, the only, truly automated compliance software available on the market. 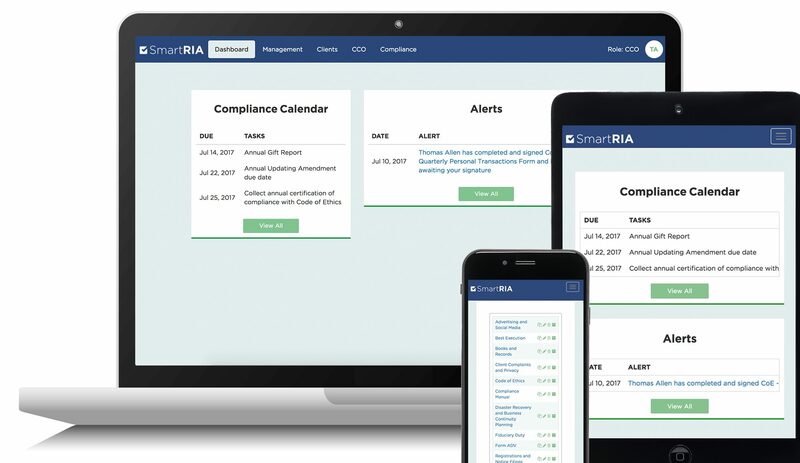 For the compliance portion of our software alone, SmartRIA is a huge time, stress, and money saver for our users. We know, because we use it ourselves in our own firm!